It is estimated that in modern Britain we have lost more than half of all our wildlife in the last fifty years, a staggering statistic. This can largely be explained by relatively recent factors: intensive agriculture, urban development, environmental pollution, population growth and density and, to some extent, climate change. A few species have flourished, but in most cases the story is one of a sharp decline, affecting many much-loved species of great significance in our cultural history, such as the nightingale, skylark, cuckoo, turtle dove, curlew, and even the house sparrow. 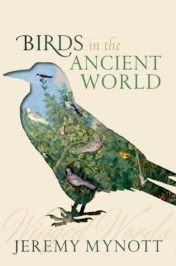 By contrast, birds were a pervasive physical presence in the ancient world, in an abundance and diversity we can scarcely imagine today. Nightingales sang close to the centre of Athens; there were also hoopoes, cuckoos, kites, and wrynecks within city limits, along with a host of warblers, finches, and buntings; in the countryside beyond, there were eagles and vultures overhead, and the visible migrations of cranes, storks, and quail helped to mark the seasons; meanwhile in the towns, swallows, martins, and owls nested freely in and around the houses, temples, and public buildings. 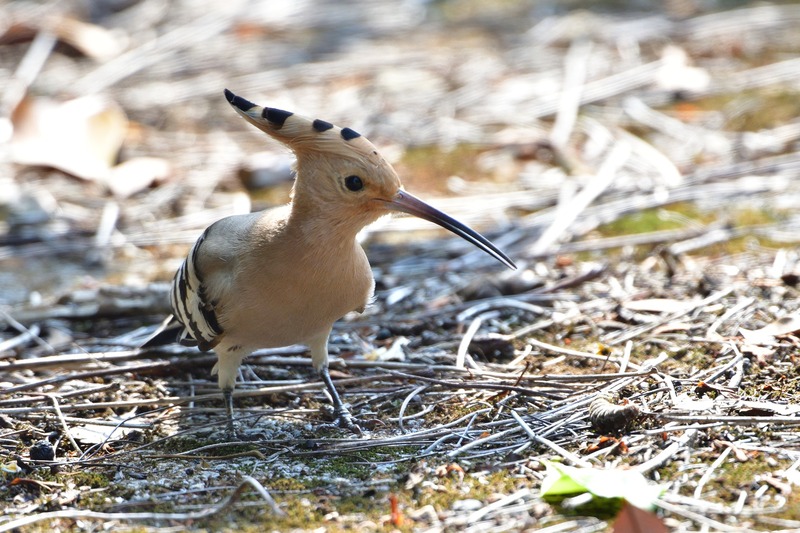 Image credit: A hoopoe, one of wild birds that made its home within the city limits of ancient Athens by Takashi Yanagisawa. CC0 via Pixabay. These daily reminders of shared living-spaces were reflected in the popular culture. Birds were prominent in the earliest European art, for example in the vivid, naturalistic frescoes from Thera (Santorini) and Knossos in Crete. 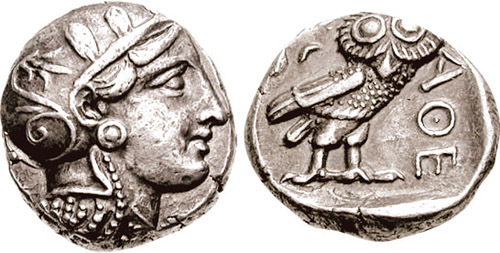 They were often depicted on coins, notably the Athenian “owls” (as they are still known in the numismatics trade), on domestic pottery and decorations, and on seals and in sculpture, all of which are “texts” of a kind, with their own stories to tell. Moreover, nearly eighty different species of birds are depicted in the wall-paintings that survived the earthquake of AD 79 at Pompeii (a small Italian town about the size of Penzance). They were there in the earliest European literature, too: Homer’s great epics (c. 700BC) are full of extended similes derived from the natural world, with birds predominating, while Hesiod invokes their behaviour and movements in calibrating the rhythms of the farming year and in weather-forecasting. A storyteller like Aesop could assume an easy familiarity in his audience with the thirty or so species of birds that are featured in his Fables. The comic playwright Aristophanes refers to at least seventy-five species in his plays and even has one called The Birds (first performed 414BC), in which he fantasises about a “cloud-cuckoo-land” intermediate between earth and heaven, which the citizens of Athens are buying up wings to visit in an outbreak of ornithomania (his word). And in a much more prosaic, academic register Aristotle (388-322BC) identified some 140 species of birds in his extensive zoological treatises. Image credit: Athenian tetradrachm C. 393-355 BC by Classical Numismatic Group, Inc. http://www.cngcoins.com. Creative Commons Attribution-Share Alike 3.0 Unported via Wikimedia Commons. As these statistics and references suggest, birds featured in every sphere of life. They were hunted, trapped, farmed, and eaten (both as everyday fare and in gourmet menus); they featured in medical remedies (many of them bizarre) and in sport (cockerels, partridges, and quail in staged competitions, and gruesome bouts involving ostriches and cranes in the Roman circus); they were prized as pets and as domestic amusements (particularly as mimics); they were given as courtship presents (“Say it with birds”); and they became embedded in everyday language as metaphors and proverbial sayings—some familiar (“Go to the crows”), others less so (“An eagle doesn’t catch flies”). There was therefore a web of different, and often intimate, relationships between humans and birds, and it was natural that they would assume a symbolic importance in mythology, magic, folklore, and religion. In particular, they were regarded as possessing a special significance as intermediaries—the very word for “bird” in Greek also meant an “omen,” while our word “auspicious” comes from the Latin meaning “watching birds.” In Homer, eagles and other raptors are regarded as the principal omens, whose behaviour could validate some proposed course of action (usually military action), though in later contexts owls, corvids, herons, and woodpeckers could also be significant presences. In the Roman period, a systematic body of ritual and doctrine was constructed around the practice of augury, interpreting the flight of birds. It was this gift of flight that especially fitted birds for the role as messengers or guides. They were the “winged words” that could bridge the gap between the two realms of birds and humanity. Featured image credit: “Flock of birds flying above the mountain during sunset” by Giani. CC0 via Pixabay. Jeremy Mynott is the author of Birdscapes: Birds in Our Imagination and Experience(2009), a book exploring the variety of human responses to birds, described by reviewers as "the finest book ever written about why we watch birds" (Guardian) and "a wonderful rumination on birds and birders through space and time for anyone interested in our relationship with nature"(THES). He has also published an edition and translation of "Thucydides" in the series, Cambridge Texts in the History of Political Thought and, more recently, "Knowing your Place," an account of the wildlife in a tiny Suffolk hamlet. He has broadcast on radio and television, is a regular reviewer for the TLS and wildlife magazines, a founder member of "New Networks for Nature," and is the former Chief Executive of Cambridge University Press and an Emeritus Fellow of Wolfson College, Cambridge. He is also the author of Birds in the Ancient World: Winged Words, released by Oxford University Press.